Who Else Wants the Fastest and Easiest Way to Make Kebabs At Home? It’s so simple, but so useful. The all-new Souvlaki Kebab maker takes all the mess and hassle out of the preparation of your souvlakis. 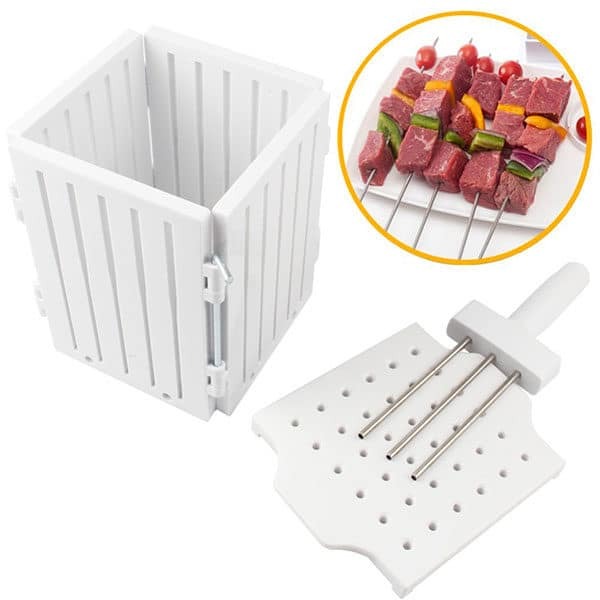 With the amazing Souvlaki Box, all you have to do is layer your meat and vegetables into the kebab box and using the specially designed guides you can insert your skewers quickly and evenly. Then with a few slices of a sharp knife, you have butcher quality kebabs ready for the bar-b-q. Does the thought of making stylish party food fill you with dread? We have the answer you’ve been looking for. This 36 kebab maker will make your dinner parties memorable. 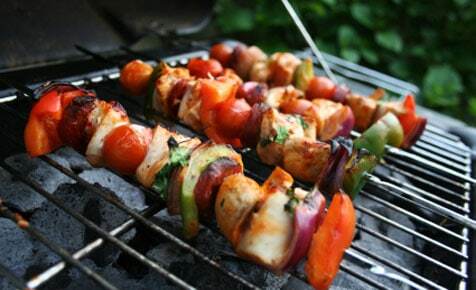 Layer your favourite ingredients into the kebab box, place the skewers and slice away. 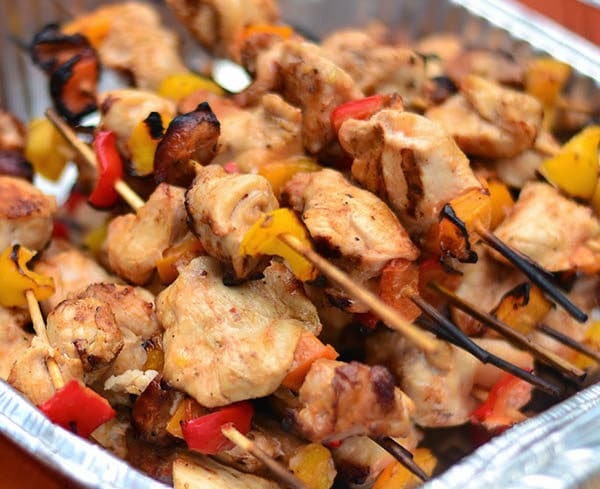 Then straight from the kebab maker box to the grill, your brochettes will be ready to tantalise your guest’s tastebuds in a matter of moments. There is no other Kebab Maker in Australia that makes party food so easy. The Kebab box is also vegetarian friendly as it is suitable to be used for vegetables and fruits to be mixed with our without meat. The Famous Souvlaki Kebab Maker package includes the complete 36 Kebab Maker with locking steel rod and the stainless steel skewer insert tool as well as a user manual to help guide you through the process. We will even post it out to you free of charge. The Shaslik Box can make 36 kebabs in a matter of minutes. What’s more, there’s no waste, no mess and easy to clean as it’s dishwasher safe too. The shaslik box assembles and disassembles in seconds and takes the stress out of the preparation for any big gathering. 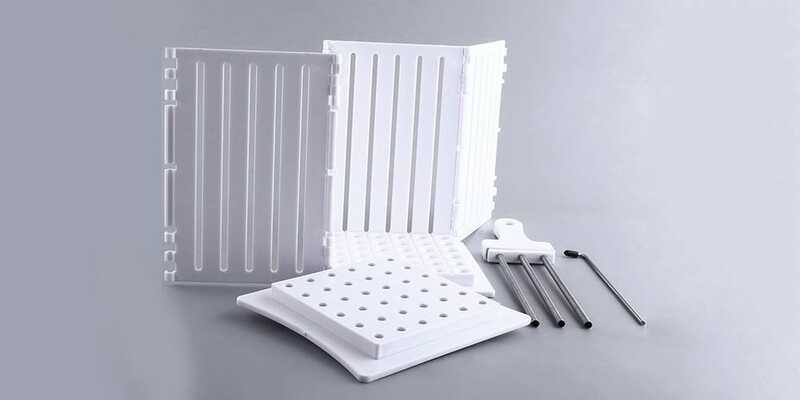 The sturdy and uncomplicated design of the shaslik box guarantees a long lifespan and will help you prepare the best kebabs in Australia for many years to come. It’s so easy to use, your own slice of the Mediterranean will be at your fingertips every time you cook! Your party guests will be amazed when you tell them you made the best brochettes in Australia and you didn’t buy them from the butcher. Even the most limited of chefs can whip up the most professional and unbelievably tasty kebabs in a matter of minutes. Souvlakis your Nonna would be proud of. 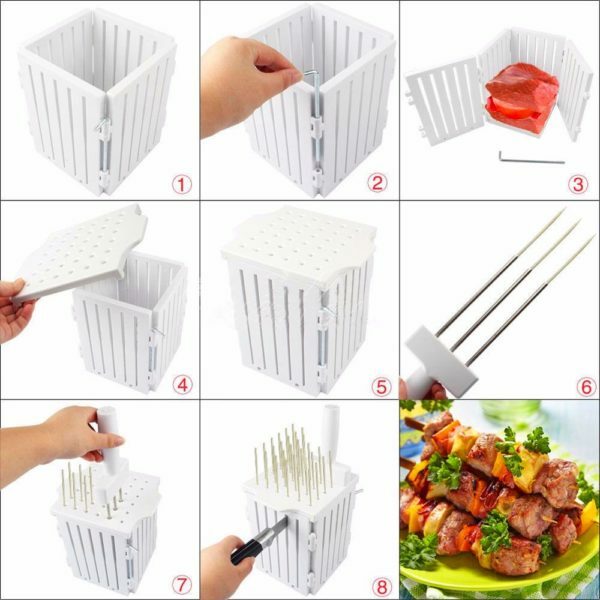 The Souvlaki Kebab Maker is easy to store, effortless to use, minimizes any mess and can be cleaned in the dishwasher. This is the one kitchen utensil that will change the way you cook. respond to your queries as quickly as possible. Our order process is safe and secure and your details will never be shared with any third parties. WE EVEN DELIVER THE SOUVLAKI KEBAB MAKER BOX FROM OUR SOUTH AUSTRALIAN STORE TO YOUR DOOR ABSOLUTELY FREE.